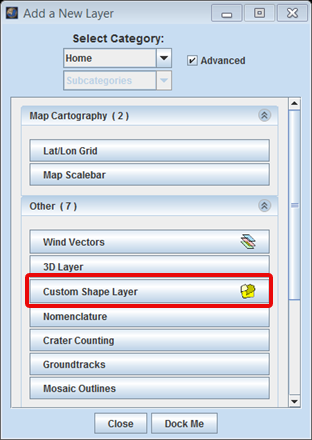 In the Layer Manager, click "Add New Layer" -> "Custom Shape Layer", then double-click on the "Custom Shape" tab to access the focus panel. 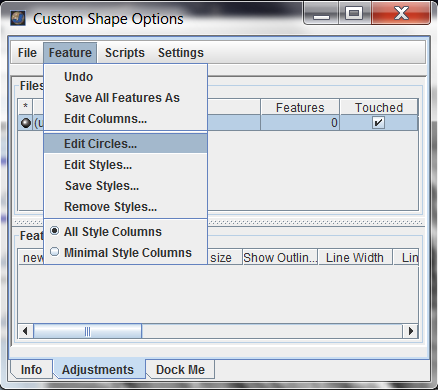 In "Features" tab of the Shape Layer focus panel, select "Edit Columns..." option. 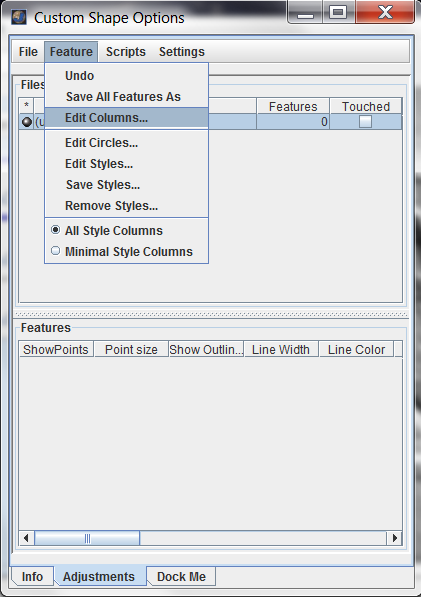 In the Edit Columns window that opens up, type the name of the new column and select its type from the Type drop-down menu. Click on "Add Column". The new column name together with its type should appear in the list of columns on the left. Select the "Update All Rows" check box and click "Okay". The new column that you just added should appear as a column in the Features on the Shape Layer focus panel. Step 3: Selecting the newly created column for circle radius. 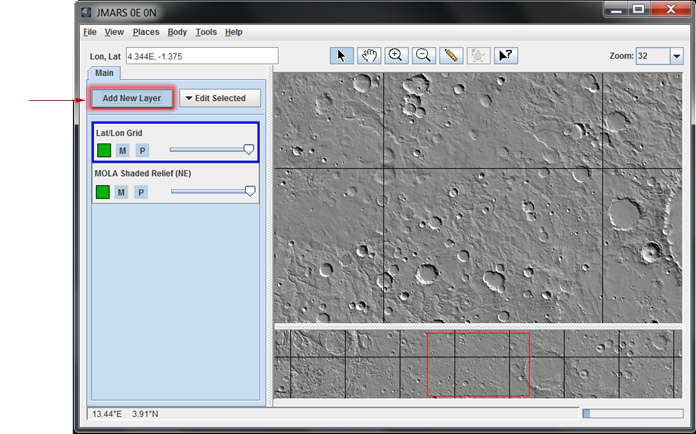 At the top of the Shape Layer focus panel, click on "Feature" -> "Edit Circles...". In the new "Geometry Options" window that opens, select the newly created column name from the drop-down menu for the "Circle Radius Field" and select the desires unit of measurement from the" Circle Radius Scale" drop-down menu. Now draw a circle in the Main View. 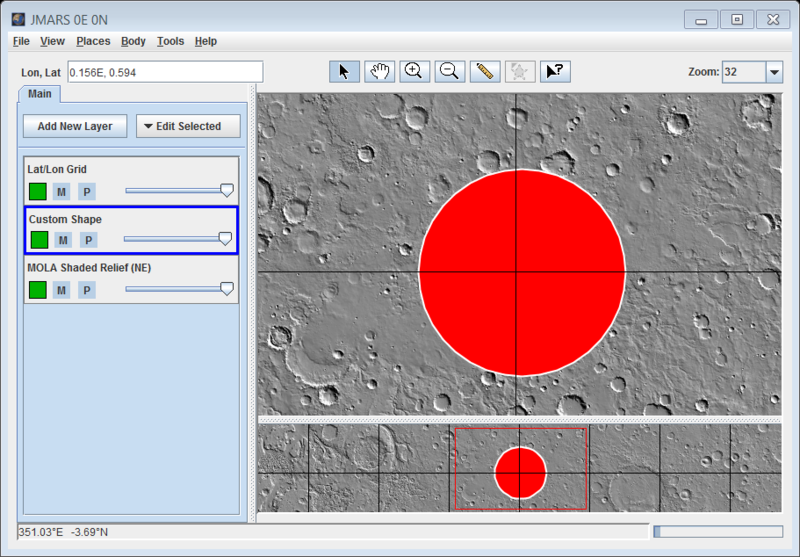 The radius of the circle drawn will appear under the new column name (new_radius in our case). Congratulations! You have finished the eighth JMARS tutorial!